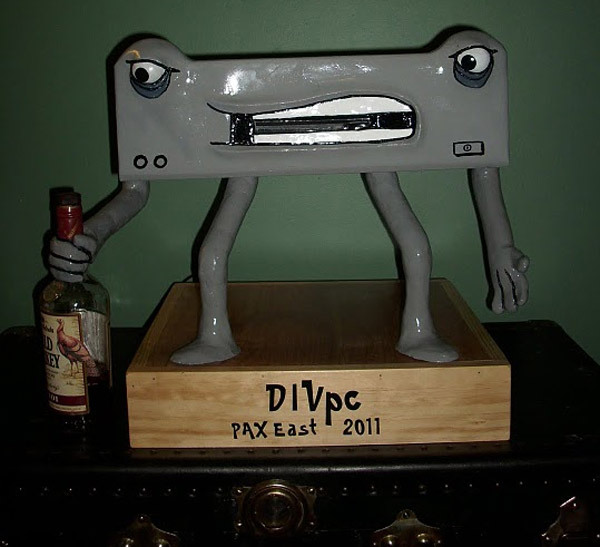 Out of all the fun case mods one can make, and out of all the Penny Arcade characters one can choose, a case mod of Div, everyone’s favorite belligerent, drunken DIVX player, appeared at PAX East 2011 this year. 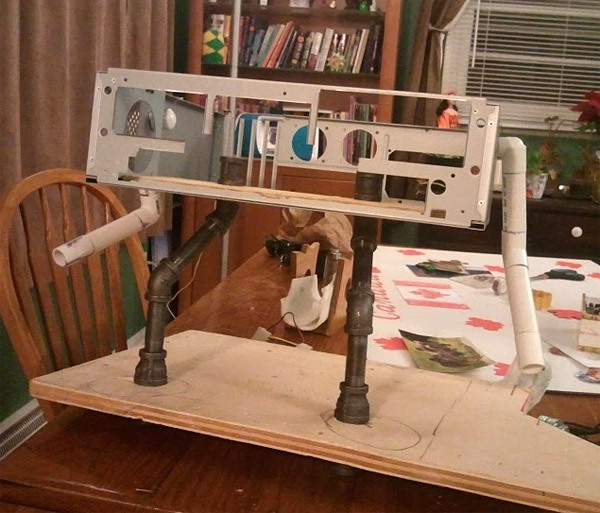 The mod, called DIVpc, was initially an ATX case, that had PVC pipes attached to make the arms and gas pipes attached to form the legs, with the face made from clay, wire mesh and Bondo. The eyes are pingpong balls, both a convenient material to make Div’s eyes, as well as a (probably incidental) tribute to a fan favorite story arc. The alcohol pictured is a bottle of Wild Turkey, filled with actual alcohol that can probably never be obtained now that it’s within Div’s PVC clutches. The computer housed within Div is a bit stronger than Div would actually be, as the case mod sports a Core i5 750 CPU, 8GB of DDR3 RAM, and two 750 GB HDDs. Head on past the break to see a couple more pictures of the technologically-advanced drunk.